Microsoft's Internet Explorer (IE) is still one of the most preferred web browsers for many users. And with the new Internet Explorer 8, this fan following has increased leaps and bounds. In this article we will tell you how you can improve your experience with IE and do things in a smarter way. Select the icons that you use or go to the View menu, select Toolbars, and then click Customize. Hit Ctrl + Shift + H from your keyboard to launch the History column on the left of Internet Explorer. You can also use the History button to launch History. 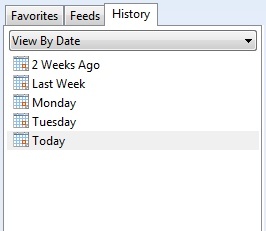 If the History button is not visible, go to the View menu, select Explorer Bar, and then click History to access. Select the site that you would like to visit and double-click. Hit Ctrl + D to add to your Favorites. Select Favorites and then Add to Favorites to create a separate folder for the site or to add it to a list already formed. Go to the Web page that you would like to make your home page. 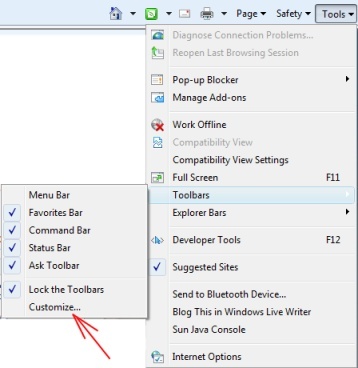 Open the Tools menu and select Internet Options. Under Home page, click Use Current.